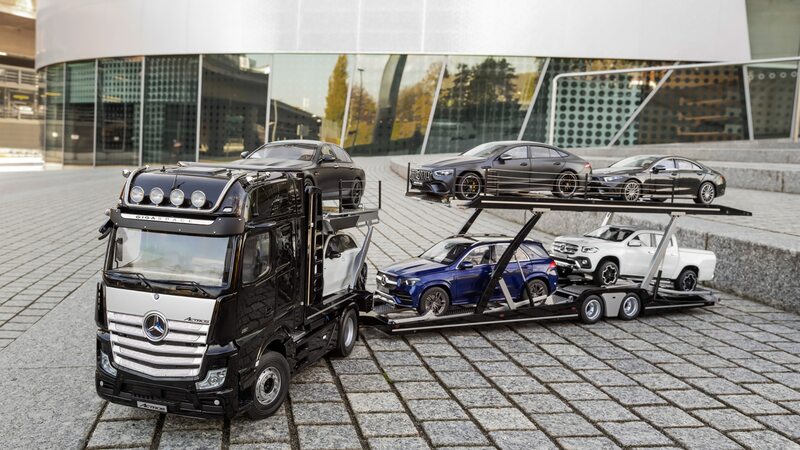 We’re also going to need six 1:18 models to complete the effect. 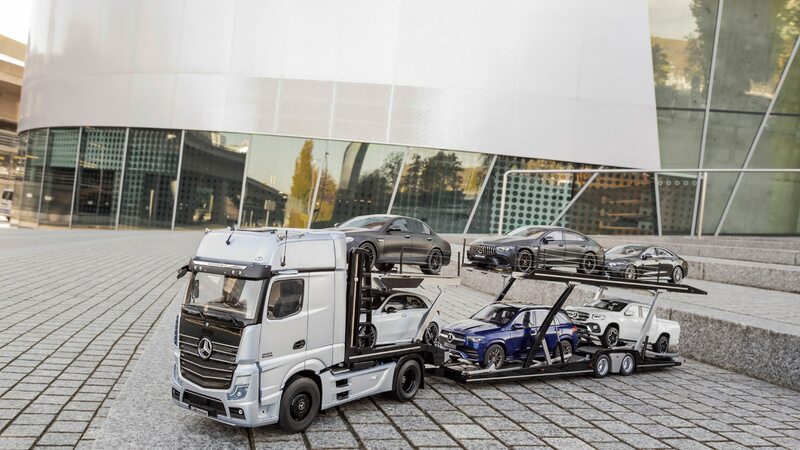 Finally, a hauler for all our Mercedes-Benz models! 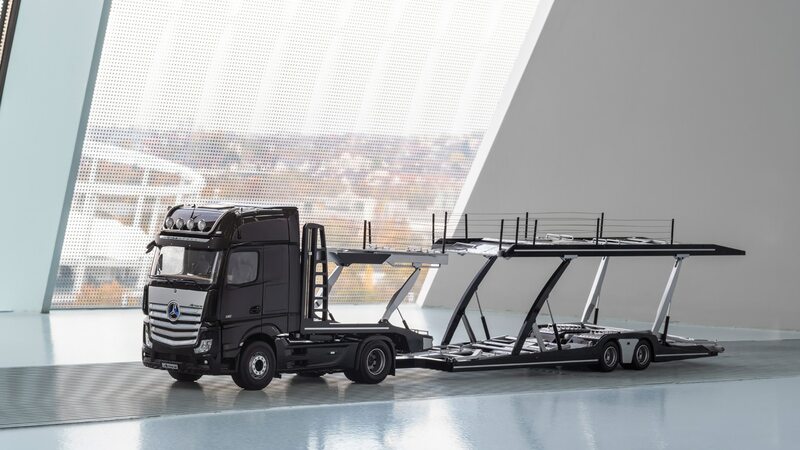 The automaker has just announced this very cool, 1:18-scale car transporter, which combines an Euro-spec Actros GigaSpace cab with two hauling slots and a trailer that can transport four more model cars—or five more if two are Smarts—all sold separately, of course. 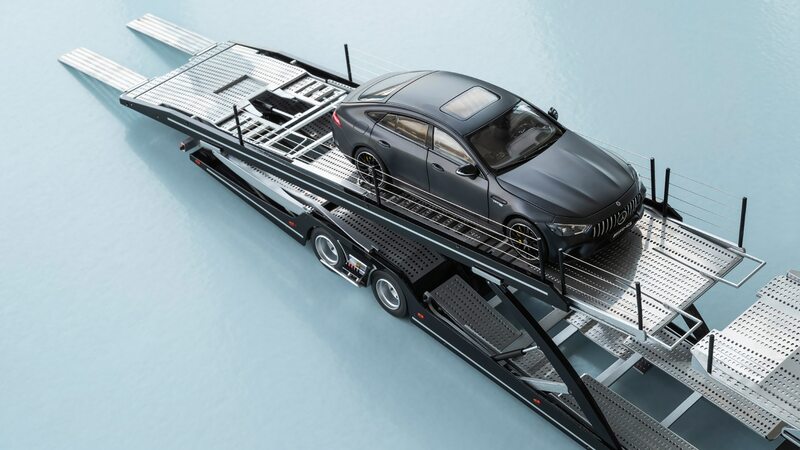 The transporter is the work of NZG Models of Nuremberg, Germany, and measures 44.5 inches long and weighs in at a hefty 22 pounds. 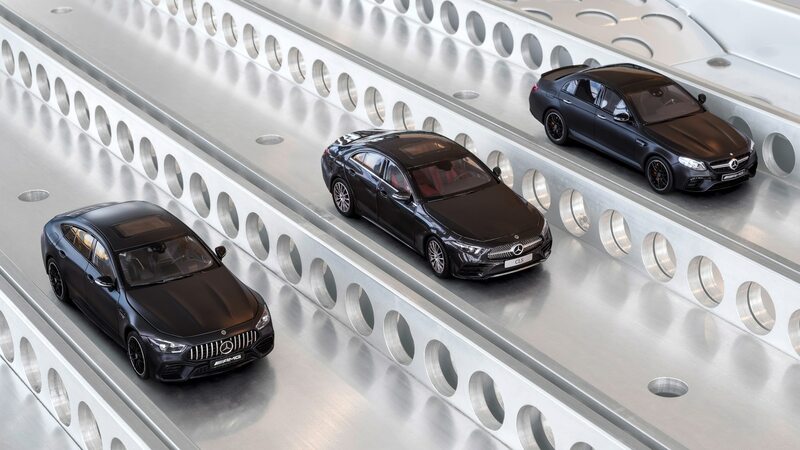 Just the trailer is made from more than 500 individual bits of zinc, plastic, and etched materials held together with 225 screws, pins, and other fasteners. 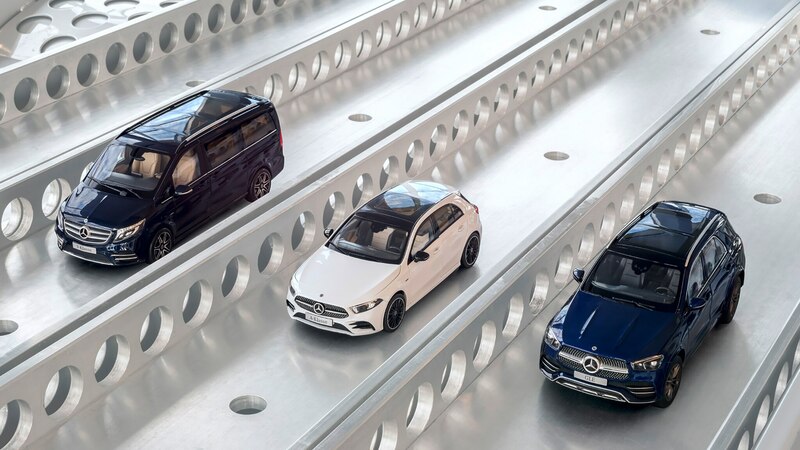 The cab itself is comprised of nearly 300 parts and requires more than 150 fasteners. 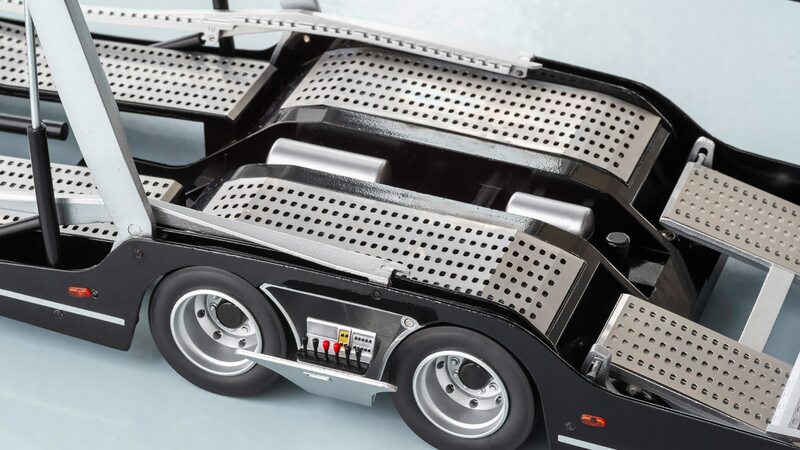 There are movable flaps, doors, and operating levers for the ramps, as well as the central axle. 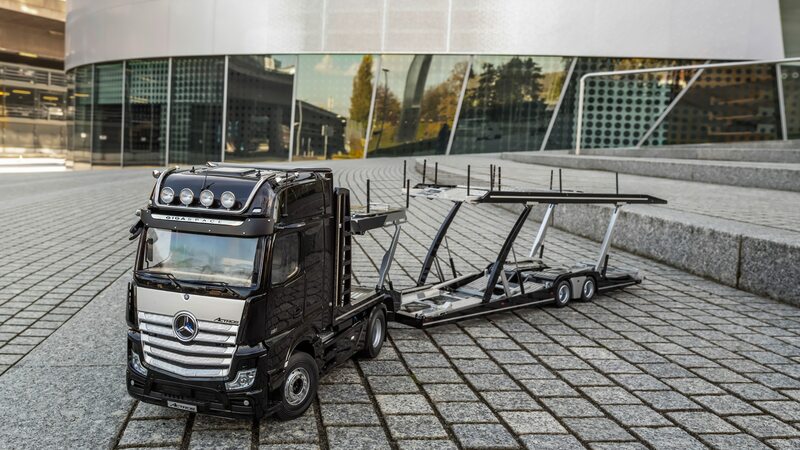 The Actros tractor features a tippable cab to get a closer look at its itty-bitty engine, plus the Mercedes star on the grille lights up. 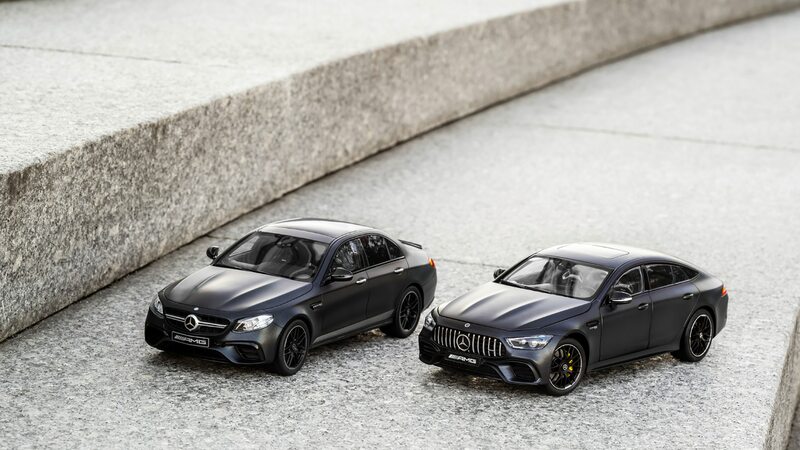 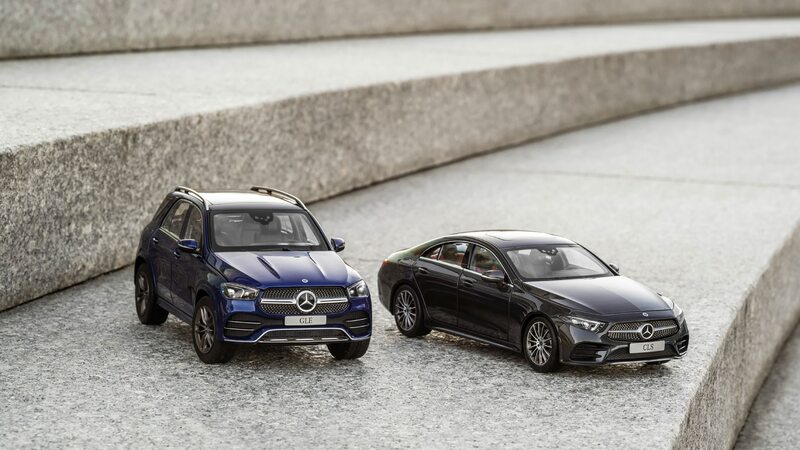 The company of course offers tons of 1:18 scale models to haul on the truck, including modern stuff like the GLE-, A-, G-, X-, and V-classes, and plenty of AMG models. 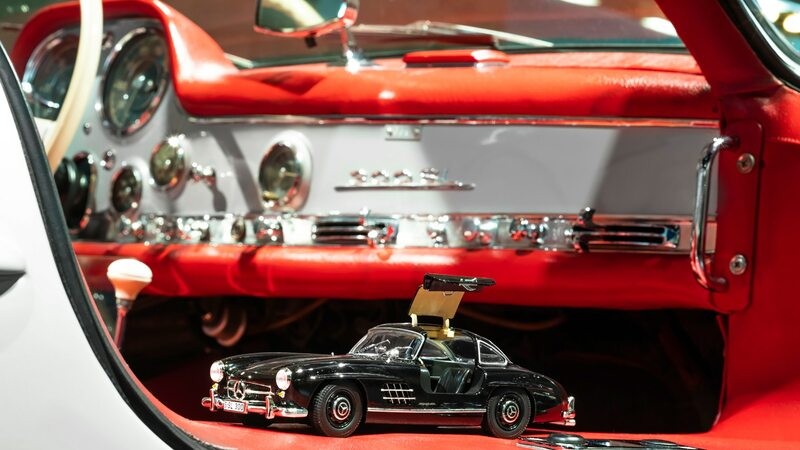 Classics like the 300SL and Pagoda W113 SL-class, and W116 450SEL 6.9 are also available. 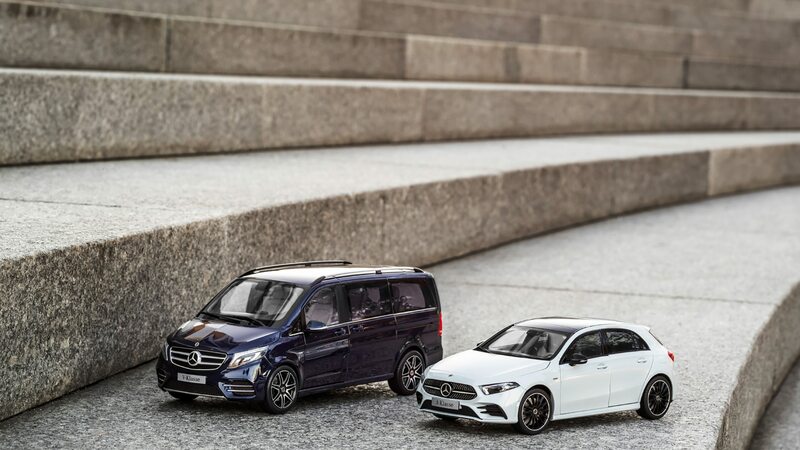 Each car costs about $100 a pop with free shipping to Europe at today’s exchange rates, and many are available in various colors. 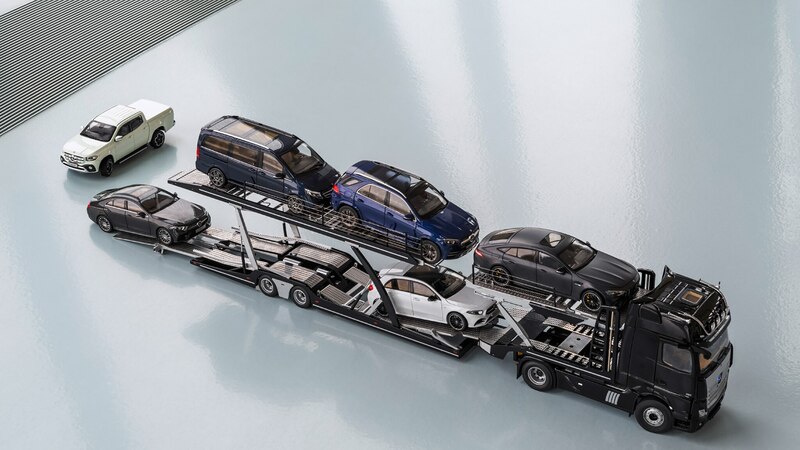 The Actros car transporter costs somewhat more: the equivalent of $825 or so and is available from licensed Mercedes-Benz partners or online at shop.mercedes-benz.com for markets outside of the U.S. No word as to whether it will be made available here, but we can imagine there are well-heeled American collectors of full-size Benzes that would love to have one of these pint-size semi-trucks.